Kershaw Drop Forged Camp Ax. One piece drop forged high carbon steel construction. 11" overall length. 3 1/2" cutting edge. Black Kraton handle. 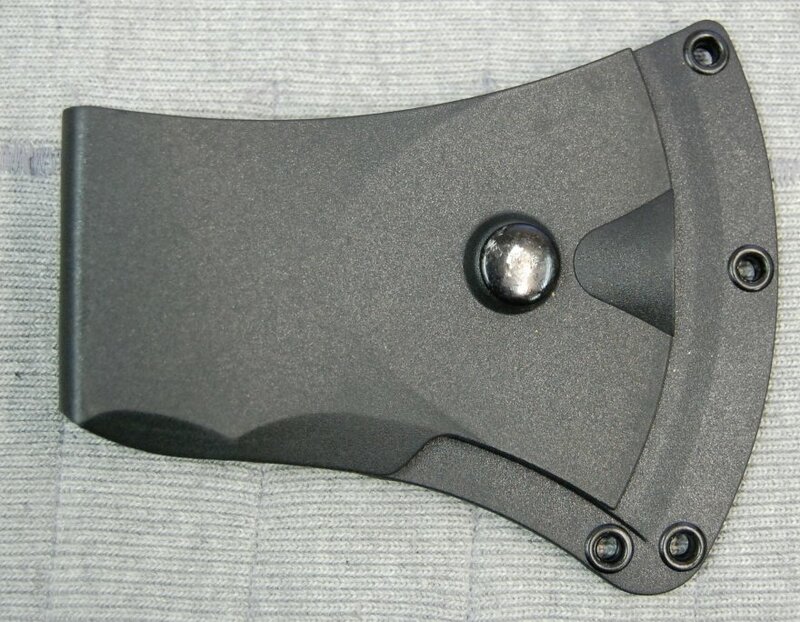 Molded composition belt sheath.